4th Annual Halloween Party with Charles River Rugby! Time to pull out your tails, hats, and horns…Halloween is coming! 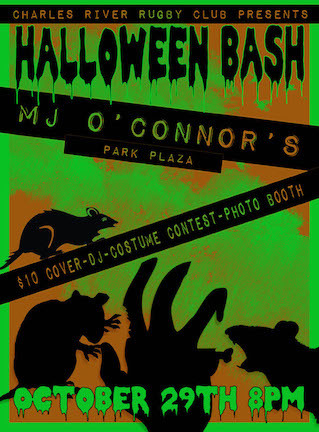 Charles River Rugby Club is hosting our annual Halloween Bash, and this year it’s smack dab downtown at MJ O’Connors. All the better to spread your spooky spirit throughout the city, my dearies. Check out the event on Eventbrite!